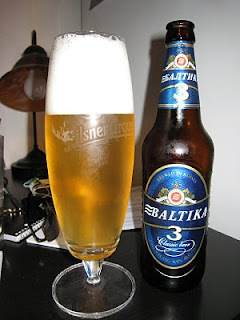 Compared to the other Baltika products, this one just doesn't cut it. It is so generic and underpowered. The head is light, the flavors are light, and I can't pick out any distinguishable trait whatsoever. It isn't bad at all, and if it was in the price point of PBR, I would buy this all the time. I think the next time I will have this in on some Eastern European debauchery fest.